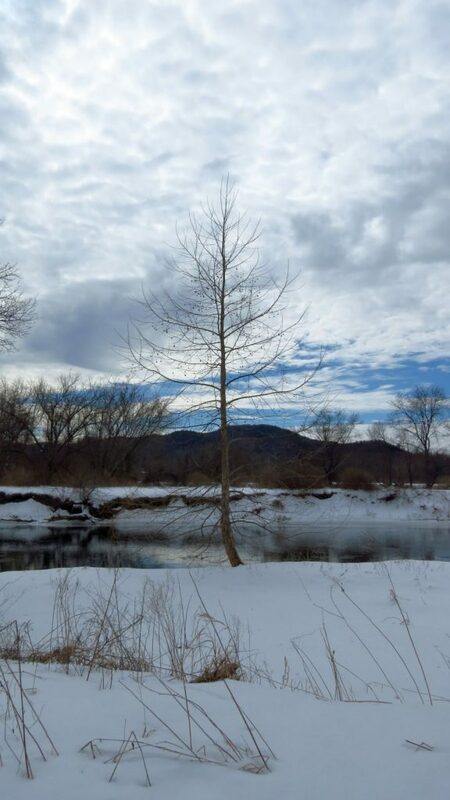 Explore the fields and riparian forest and learn to recognize and read wildlife tracks and see what winter birds live here. Description: Housatonic Flats provides important habitat to many Berkshire mammals and birds. We will guide visitors on where to look and what to look for. If no snow, we’ll skip the snowshoes and go for a winter hike! If weather permits, bring your own snowshoes or you can rent a pair from Berkshire Bike & Board (413-528-5555). Pre-registration is requested: info@gbtrails.org. For more information or to register by phone call Mariah at 413-499-0596. Note: pre-registration is requested, but the hike is still FREE!